Bill Mauldin once said that the infantryman “gives more and gets less than anybody else.”He knew this from his experience on the front lines with K Company, 180th Infantry Regiment, of the 45th Division. Mauldin went through basic training as an infantryman and stayed with his regiment throughout the invasion of Sicily and the Allied campaign up the boot of Italy. The talented cartoonist succeeded in ruffling the feathers of the “brass” all the way up to General George Patton. In a time when American news outlets were sanitizing World War II for the folks on the home front, Bill Mauldin depicted the grim reality of war. Through the use of meticulous detail, keen observations, and sardonic wit, this baby-faced young man spoke for the masses of ordinary soldiers who had no voice of their own within the massive military machine of the United States. William Henry Mauldin was born October 29, 1921 in the New Mexico’s Sacramento Mountains in a town named, Mountain Park. He survived a nomadic and impoverished childhood as a sickly child with a young mother and frequently unemployed father. He and his older brother Sid were frequently left alone for days at a time while their mother, Katrina, went on harsh drinking binges. When their parents permanently separated in July 1936, Bill and Sid left the family home for Phoenix, Arizona. While in the Valley of the Sun, Bill attended Phoenix Union High School where he promptly joined the ROTC. His talent as an artist was evident at a young age and seeking to hone his skills and find some semblance of success in his otherwise dismal life, he abandoned high school in his senior year to attend the Chicago Academy of Arts in 1939. He returned to Phoenix in 1940 and as a means by which to subsist, joined the Arizona National Guard. His division was dispatched to Fort Sill, Oklahoma. There he was able to utilize his talents after he secured a position on the 45th Division News as a cartoonist where his drawings spoke to and for the enlisted men. Bill’s support of the enlisted depicted officers and practices within the camp as inane. He was warned by his editor, Colonel Walter M. Harrison, that his irreverence had not gone unnoticed. In his defense of Mauldin, Harrison informed his superiors that “soldiers need outlets for their gripes, and if they can pick up a paper and see somebody griping for them they can go back to work feeling better.”Mauldin and Harrison continued to walk the fine line of depicting the truth of the dogfaces (infantrymen) while not pushing the brass too far. Harrison was keenly aware that the 45th Division News could be shut down by his superiors if he or Mauldin appeared to promote insubordination in any form. Bill; therefore, was meticulous in his artistry and the details contained in his drawings. Accuracy in a dogface’s boots, clothing, tents, rifles, packs, deportment, and demeanor were critical. Mauldin brilliantly drew just enough in his strips so that the infantry completely understood his meaning while the brass was left in the dark. He was especially relevant to the men of the 180th Infantry as this unit contained more Native Americans than any other infantry regiment. These were men, like Bill, who were highly intelligent but were marginalized and forced to live on the fringes of society. Mauldin acted as what today is described as an “observational comedian,” and cleverly spoke to the dogfaces without provoking the brass beyond a certain point. The 180th Infantry Regiment participated in Louisiana’s war games, known as “The Big One,” in August 1941. Bill was given the opportunity to become a full-time cartoonist and have some of his work shipped to various regional newspapers nationwide. Bill’s work was favorably noticed and at 19 years of age, he was contracted for his first five-cent book, Star Spangled Banter. His work differed from the soft, gag comic strips such as G.I. 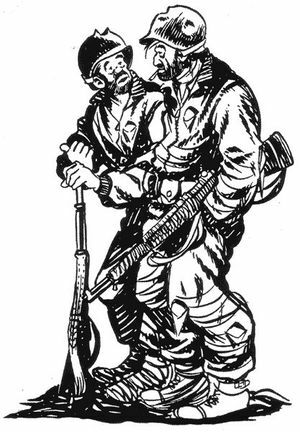 Joe and Sad Sack in that his work depicted realistic and grim portrayals of infantrymen. The 180th moved from Fort Sill to Camp Barkeley, near Abilene, Texas. From there they went to the war games in Louisiana then on to Fort Devens, Massachusetts. Their next stop was Pine Camp in Watertown, New York before finally stopping at Camp Pickett, Virginia. Mauldin shipped out from Newport News, Virginia on June 4, 1943 as a member of the 45th Division News staff on his way to Italy. The 45th Division, including Sergeant Mauldin, landed at Scoglitti, Sicily on July 10, 1943.Bill wasted no time in establishing a printing press then hurried to catch up to K Company who were marching to the front lines. It was during this period that Bill furthered his circulation by working for Stars and Stripes. Although he was not a fighting soldier, he made trips to the front and embedded himself with K Company for several days then returned to his makeshift printing press and drew what he saw. He witnessed the carnage of “Bloody Ridge” in Sicily and was wounded on the Italian mainland as German soldiers fought ferociously during their retreat north. After receiving his Purple Heart, Mauldin carried more weight with the infantrymen who were reading his feature “Star Spangled Banter,” throughout the Mediterranean Theater. The weather and conditions on the Italian front were muddy, wet, and ill-supplied. Mauldin provided the dogfaces a sense of unity and comfort as his drawings and wry captions let these men know they were not alone. One infantry veteran said of Mauldin, “‘…to appreciate what moments of relief Bill gave us…you had to be reading a soaking wet Stars and Stripes in a water-filled foxhole and then see one of his cartoons.’”Bill’s cartoons depicted water-filled foxholes and soggy trenches. They showed the misery suffered by infantrymen on a daily basis. The dogfaces knew that Mauldin was speaking for them because at his core, Mauldin was a dogface, too. While in Italy, Mauldin witnessed the actions of the Peninsular Base Section (PBS), which was responsible for supply distribution and policing in Naples. More supplies were stolen and sold on the black market than were delivered to front line soldiers. What Bill saw as equally bad was the manner in which infantrymen with four-day passes in Naples were treated. The PBS brass were favored with an abundance of women, alcohol, and hotels while the dogfaces were housed in rest centers and kept away from the recreation they so desperately sought. Mauldin drew scenes from Naples that depicted enlisted men and line officers being denied access to bars and hotels. He drew these men as dirty, unshaven, and exhausted while the members of the PBS were clean, healthy, and smiling. Brass, including Patton, were furious with this series of drawings and even went so far as to claim Mauldin was inciting mutiny. General Theodore Roosevelt, Jr. came to Bill’s defense, positing that Mauldin “might be preventing it [mutiny] by blowing off a little steam for the boys.” Roosevelt went on to say that Bill’s cartoons were “saying what was on everybody’s mind about the way the infantrymen get treated in Naples.”That is exactly how “the boys” saw Bill’s work. 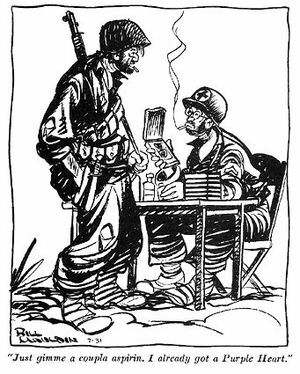 Mauldin perfectly depicted the reality and deprivations suffered by the underappreciated infantrymen. 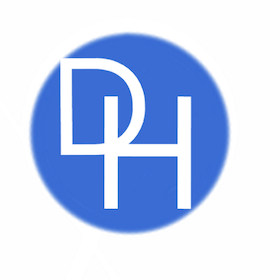 As the war raged into 1944, each military branch recognized the importance of publicity in the States. Each branch had their own public relations personnel and Mauldin assumed that role for the infantry. In Hollywood, stars such as Cary Grant, Humphrey Bogart, and John Garfield were acting as heroes for the Navy, Marines, and Army Air Corps. The infantrymen were far less romantic in their duties and therefore did not fit the Hollywood perception of a hero. On February 29, 1944, Mauldin’s immortal “Willie and Joe” were born, giving life to the seemingly forgotten dogface. By sketching just enough detail so as the foot soldiers knew what he meant, he was able to maintain a sense of dignity for these men without antagonizing the brass to a greater degree than he already had. Not only did Willie and Joe perfectly depict the suffering of the dogfaces, they also conveyed the sense of extreme comradery and loyalty these men felt toward one another. In one telling cartoon, Willie and Joe are shown sitting in a water filled trench. Willie says that in return for saving his life earlier, he would give Joe his last pair of dry socks. Those were the things that mattered to infantrymen. Everyday activities that men who were not on the front lines could not possibly understand: trying to dig a foxhole through frozen ground; deciding whether or not to defecate in the foxhole or risk getting shot while climbing out; taking a bath in a muddy hole. These were the daily events of the dogface and through Mauldin’s work these men were able to endure one more day because they knew someone understood. When Bill Mauldin was in Rome in 1944, he was working on sketches for his book, Up Front. He questioned whether his drawings were too extreme in their grimness. To resolve these doubts, he travelled to a battalion aid station near Bologna and spent several days witnessing the conditions under which the medics and surgeons performed. He saw the agony of the wounded soldiers and heard the rattles of those who were destined to die. He returned to Rome secure in the knowledge that his drawings perhaps were not harsh enough. One of his strips after visiting the aid station played a role in helping medics attain an increase in pay as they previously did not receive combat wages as they were unarmed. More than any of the accolades he received, Bill was the most satisfied with the knowledge that he had advocated for the dogface; and the dogfaces never forgot him. Bill Mauldin died January 22, 2003. Because of Alzheimer’s disease, he was likely unaware of the hundreds of visitors and thousands of cards and letters he received during the last months of his life. The visits and wishes came from infantry veterans, children and grandchildren of dogfaces, and widows of those killed in action. 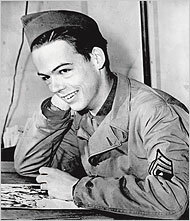 They all conveyed the similar sentiment that Bill Mauldin helped ordinary soldiers endure the war and comforted those before death. Jay Gruenfeld was 21 years old in 1945 when he was lying in an army hospital bed with a nearly severed spine; the fifth wound he received while serving in the Philippines. He was frightened and alone when he received a package from his father that contained Mauldin’s book, Up Front.Gruenfeld was affected by Willie and Joe as these characters spoke to and for him. The conveyed the loneliness, grief, exhaustion, and waning hope of a soldier. In 2002, the 77 year old Gruenfeld drove 200 miles to visit Mauldin before he died. When asked why, Gruenfeld replied, “‘you have to understand, Mauldin was just a paragon for us…he needed to know he wasn’t forgotten.’”Bill Mauldin never forgot the dogfaces and the dogfaces never forgot their hero. ↑ Bill Mauldin, Up Front (New York: World Publishing, 1945), 5. ↑ Todd DePastino, Bill Mauldin: A Life Up Front (New York: W.W. Norton & Company, 2008), 9-35. ↑ Bill Mauldin, The Brass Ring (New York: W.W. Norton & Company, 1971), 93. ↑ Quoted in DePastino, 3. ↑ Mauldin, The Brass Ring, 202. ↑ Jay Gruenfeld, Purple Hearts and Ancient Trees: A Forester’s Life Adventures in Business, Wilderness, and War (Seattle: Peanut Butter Publishing, 1997), 100-102. ↑ Gruenfeld, Quoted in DePastino, 2-3.